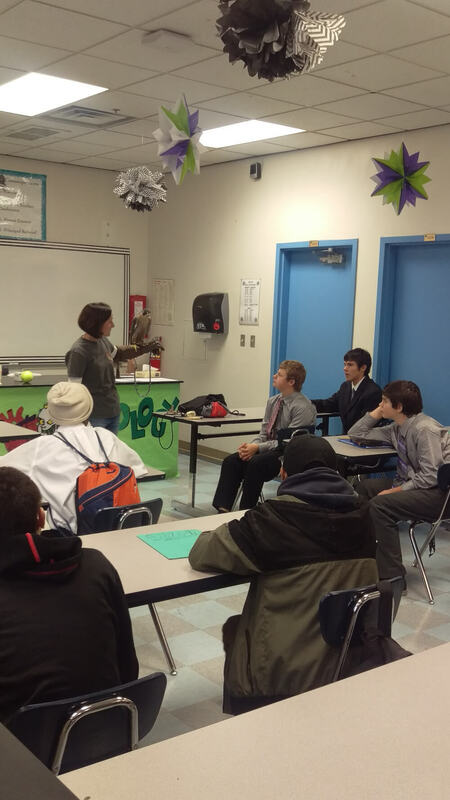 Independence High School Biology and Earth Science Classes had the opportunity to be visited by Hawkwatch. Hawkwatch is an organization that collects and analyzes data on raptors, and help with educating students on these birds. They have 7 birds in their program, and all have been labeled as non-releasable. This is a federal program, and the birds are federally protected. The mission of HawkWatch International is to conserve our environment through education, long-term monitoring, and scientific research on raptors as indicators of ecosystem health. 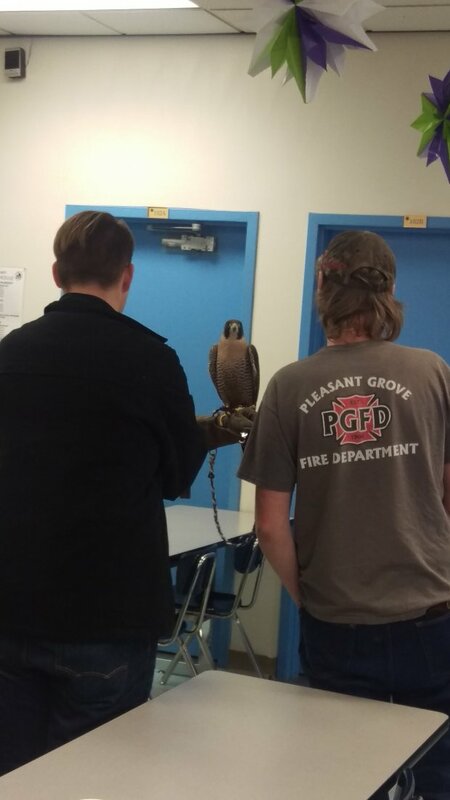 The bird that they brought to share with our Biology students was a Peregrine Falcon named Goose. She isn’t hurt in a physical sense, but she was raised by humans and can’t hunt for herself. They believe that she was probably a Falconer bird that was released because she was too much work, or she escaped from her owner by chewing through her bindings. 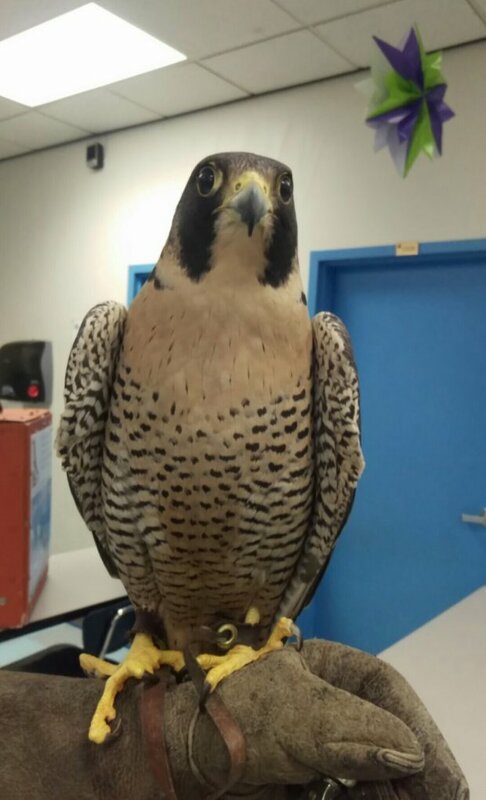 As a Peregrine Falcon, she is the fastest animal on earth when in a dive. The fastest falcon was clocked at 242 mph while diving. She eats other birds that are generally smaller than her. She is considered a raptor bird for her sharp beak, talons, and eye sight. These birds are some of the smartest around and can be trained. Thank you Hawkwatch! Our students loved being so close to such beautiful birds.